We’d like to thank all of our users for their continued support. For more information on the awards, including our history at them, please read on. 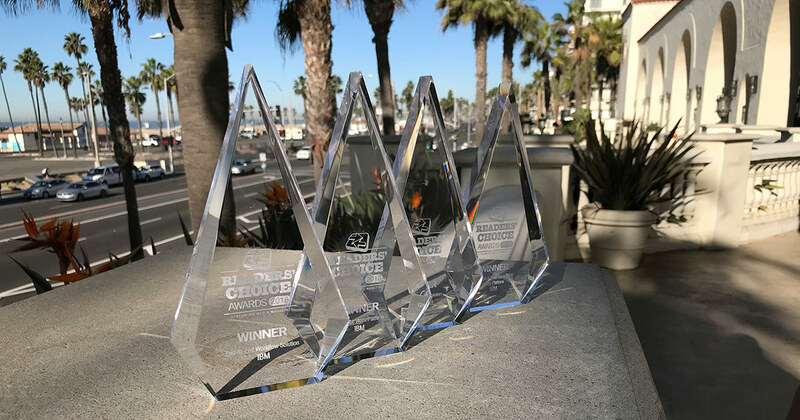 This year, IBM was honored with four awards, topping the three IBM won last year thanks to the addition of winning Closed Captioning Solution for the first time. Below are some details on each award and also our solutions that were voted by users as the best solution in those categories. This marks the first year IBM has been nominated in this category and was selected for the recently launched IBM Watson Captioning service. This solution produces AI generated captions through utilizing speech-to-text. It includes robust functionality around training the artificial intelligence as well, to improve accuracy of generated captions. 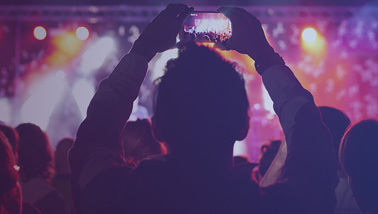 IBM offers an end-to-end solution for both the external video streaming offering enterprise video streaming offering from IBM Watson Media. This includes everything from an encoder, video player, embed codes, hosted web pages and more, with flexibility to use other components such as your own RTMP based encoder for live streaming. IBM has won this award several times in the past. 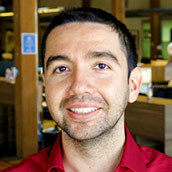 The solution nominated is the IBM enterprise video streaming solution, which secures content using a variety of methods, such as SSO (Single Sign-On) with support for SAML based solutions, while also being able to track users on an individual level for compliance reasons or to gauge effectiveness of content. IBM has two solutions in this category, one is its Video Distribution and Workflow which alleviates the complexity of ingesting, compiling and preparing both metadata and video assets for delivery to virtually any screen. This includes various features from cloud transcoding to digital electronic sell-through (EST) delivery and licensing window management. 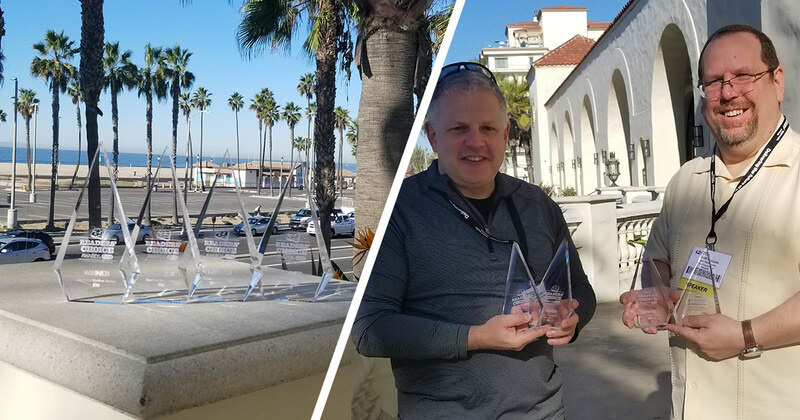 Winners were announced on November 14th at the Streaming Media West trade show. Happening that morning, the finalists were repeated for each category before the winner was announced. The trade show was held at the Hyatt Regency Huntington Beach Resort and Spa in Huntington Beach, California. The awards were accepted by Scott Grizzle, Senior Solutions Engineer at IBM Watson Media, and Ethan Dreilinger, Solutions Engineer at IBM Watson Media, who were speakers at the trade show and are pictured above. 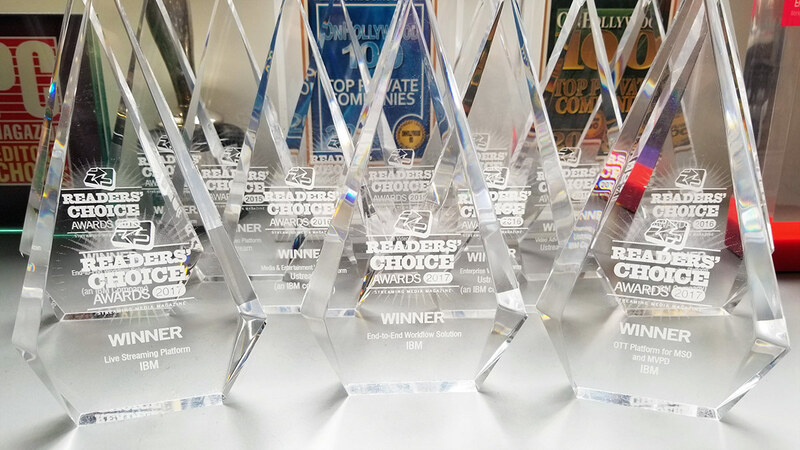 IBM has a history with the Readers’ Choice Awards that stretches all the way back to 2009, where Ustream, later acquired by IBM, was first nominated. It has won in a range of categories, stretching from Enterprise Video Platform to Mobile Video Platform. Below are all the prior awards that IBM has been awarded, either as the winner or, in the case of two instances which are noted, as a runner-up. 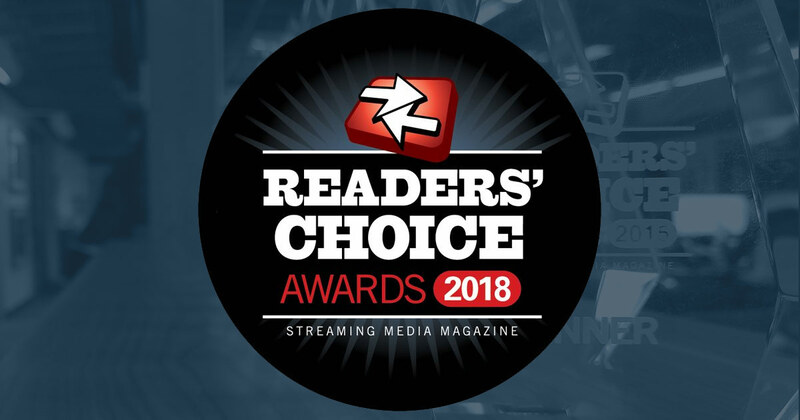 The Readers’ Choice Awards are conducted by Streaming Media, who run both a magazine and web presence. They are a resource for video industry professionals, with an emphasis on digital media. The awards themselves have been around for over a decade, first taking place in 2007. The awards attract thousands of voters each year. In fact, the 2017 event attracted 37,000 votes, up 3,000 votes from the prior year.